The Tabor Opera House was built in 1879 by Horace Austin Warner Tabor, one of Colorado's most well known mining magnates. It was one of the most costly and most substantially-built structures in Colorado history. The construction materials used to build the Tabor Opera House were not available in Leadville, so HAW Tabor ordered that they be brought up by wagons... a tedious task. Nevertheless, the Tabor was completed in only 100 days from the date of ground-breaking which was a record time. In late 2016, the Tabor Opera House transitioned from private to public ownership when the City of Leadville purchased the building from the Bland family for $600,000, money raised entirely through grants. 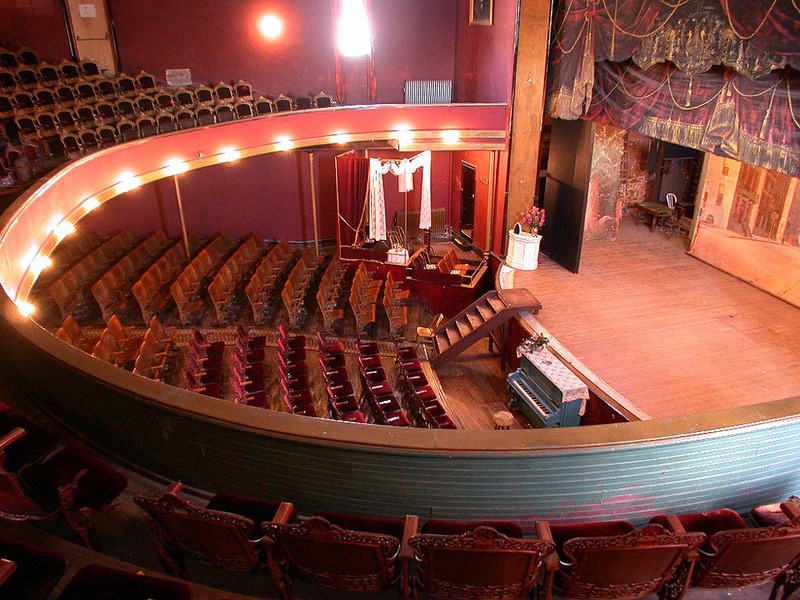 The Tabor Opera House Preservation Foundation, a nonprofit 501(c)(3) founded in 2003 to assist the previous owners in caring for this historic building, was reorganized and its mission expanded to raise funds for rehabilitation and operate the building on behalf of the Leadville/Lake county community. In early 2017, we signed a lease and operating agreement with the City of Leadville to lead the rehabilitation and operate the building. In 2017, we launched our inaugural season to our community, offering ballet, opera, Broadway, blues, jazz, rock, homegrown community theater and the Colorado Songwriter Showcase and for the first time opened our entire building for tours. In 2018, we offered interactive tours and sixteen cultural events, from theater and spoken word, to flamenco dancing, a dance workshop and a diverse variety of musical performances. The massive 3-story opera house was constructed of stone, brick and iron, and trimmed with Portland cement. Its solid brick walls stand 16 inches thick! The color scheme used was red, gold, white and sky-blue, with the blending beauty of everything fully revealed by 72 jets of brightly burning gas lights. This substantial construction has weathered the test of time, and stands today as a proud monument to Colorado history. The three-story building included two retail stores on the first floor, an elegant theater on the second floor, and a third floor that connected to the adjacent Clarendon Hotel via passageway. The ornate interior boasted 72 gas jets (the first gas lights to illuminate Leadville), richly painted walls and ceiling frescoes, custom carpets, and hand-painted stage curtains. Oscar Wilde, Harry Houdini, John Philip Sousa, and Buffalo Bill were among the famous entertainers and speakers who performed at the Tabor Opera House. Evelyn Furman arrived in Leadville as a nanny for her Geology Professor's children in the summer of 1933 on what was to be a summer adventure of learning geology and tending the children. Instead she fell in love with Leadville and a miner named Gordon Furman and choose to remain in this boom and bust mining community. She and Gordon lived for a while in a miner's cabin just above the famous Matchless Mine where Baby Doe still lived. Soon after their marriage Gordon lost his right arm in a mining accident. Evelyn decided that she needed to add to the household income and borrowed money from her mother-in-law to buy a Maytag wringer washer. She went door to door and sold that machine and went back and bought two and sold them... over the years she became a premier dealer for Maytag , Hoover and Drexel. When the Tabor Opera House was placed on the market by the Elks in 1954 Evelyn's love for history, particularly the Tabor History, her eye for restoration of past treasures and a pioneer spirit that believed she could accomplish anything pushed her to place a bid on the Opera House. In December of 1954 the Elks voted to sell her the Opera House. Thus began an adventure that she and her family has been involved in for 59 years. She personally ran the Opera House until 84 years of age, then turned the controls to her daughter Sharon Furman Bland and her husband Bill. Evelyn never stopped loving the Opera House and the story of the Tabor's. She authored three books that are available for purchase in the Merchandise tab on this web site or at the Opera House. These books tell the story of the Opera House, Augusta Tabor and Silver Dollar Tabor. Evelyn received many awards and accolades during her 98 years of life. Truly she epitomized the pioneer spirit that believed there was always a way to get it done. A Historian - who researched carefully before the era of computers. Talking with individuals who remembered Tabor's ownership as well as the Weston's and Elks was an advantage she had. A Mother and Grandmother - Her daughter and two grand-children benefited greatly from her involvement in their lives. A Friend to People Around the World - People still visit the Opera House and speak fondly of her love for people and her ability to recite history and stories of history. The twin goals of the Tabor Opera House Preservation Foundation are to rehabilitate this historic treasure and bring it to life as a community asset. A feasibility study completed in 2017 by Progressive Urban Management Associates estimates rehabilitation this 25,000-square foot Italianate opera house and saving it from decades of deferred maintenance will cost $8.5 to $10 million. Please view the slideshow below to get a glimpse into a few of the pressing needs.